Gentle-spirited vignettes from the sleepy little Tuscarawas County town of Zoar, site of an experiment in communal living by religious refugees from Germany, the Society of Separatists of Zoar. From 1819 to 1898 they toiled industriously, digging part of the Erie Canal, making coverlets, tinware, stoves and harness and establishing The Zoar Hotel, which became a popular resort for the residents of Cleveland. In 1898 the Society disbanded and sold off their assets. But some believe that the spirits of Separatists still linger. Sites covered in the book: The Zoar Tavern & Inn, The Zoar Hotel, The Cobbler Shop B&B, The Cider Mill, The Boys Dormitory, Inn on the River, Bimeler House, Ghost Fields, The Zoar Cemetery, Cowger House, haunted dolls of Zoar. 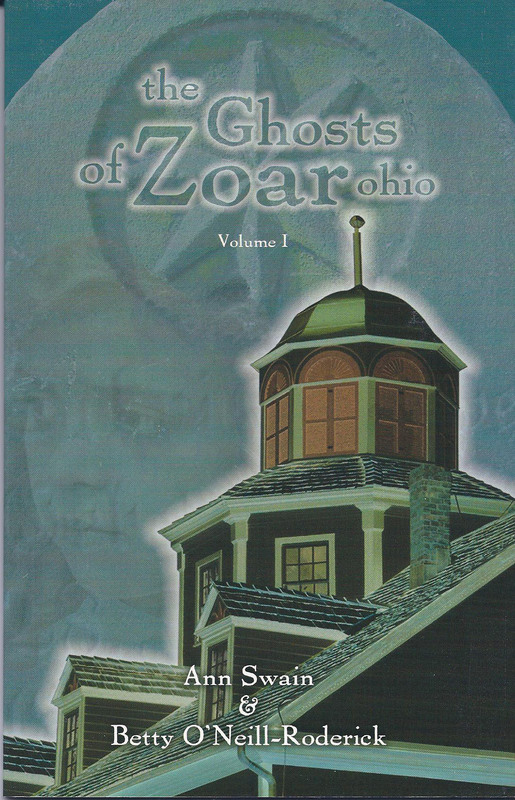 The authors operate Lantern Tours of the Ghosts of Zoar from April through October, visiting some of the sites in this book.